In 2014-15, the Hockey East Association launched Inside Hockey East, its first-ever weekly podcast, to deliver fans a behind-the-scenes look into both the men's and women's programs. Hosted by long-time Boston University radio voice Bernie Corbett, Inside Hockey East will be produced each week throughout the regular season to provide an outlet for league administrators, coaches, players and members of the media to talk about all things Hockey East. 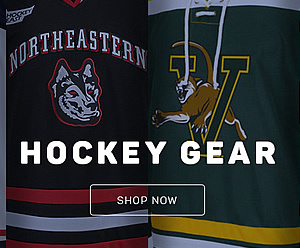 Check back each week for highlights from all the Hockey East action throughout the season! BU's Jake Oettinger and Providence's Brandon Duhaime join Bernie Corbett on this week's NCAA edition of Inside Hockey East.